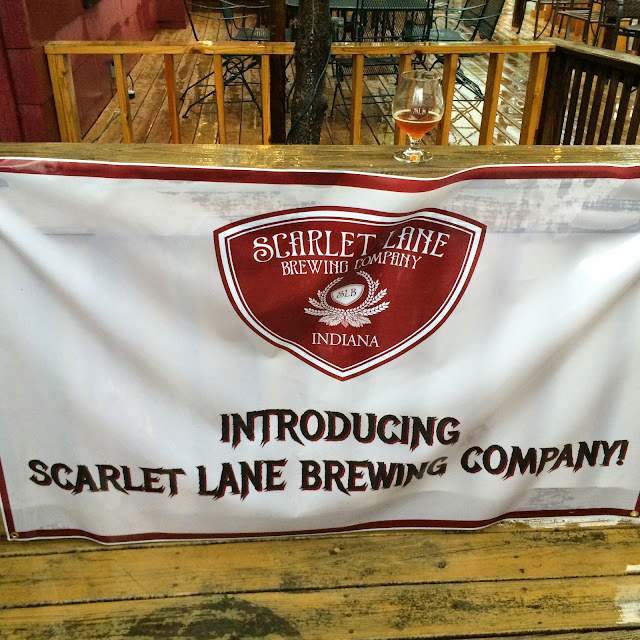 Scarlet Lane Brewing located in McCordsville is one of many breweries opening this Summer around Indiana. Deticated to brewing high quality, yet humble beer, SLB got a jump on things this past Wednesday and with their official launch party at Fire by the Monon (ahead of their brewery opening sometime soon). The event featured 3 of SLB's beers: Saison de Silas (Saison), Dorian (coconut stout), and making it's debut was Vivian (Red IPA). All 3 beers are solid and indicate a promising future for SLB; my personal favorite was Dorian, which you can read about in detail below. The event itself was fantastic despite a couple soaking rain showers (ironic considering the event was rescheduled to avoid rain). The SLB crew was making the rounds and it's always exciting to talk to the people behind the beer. 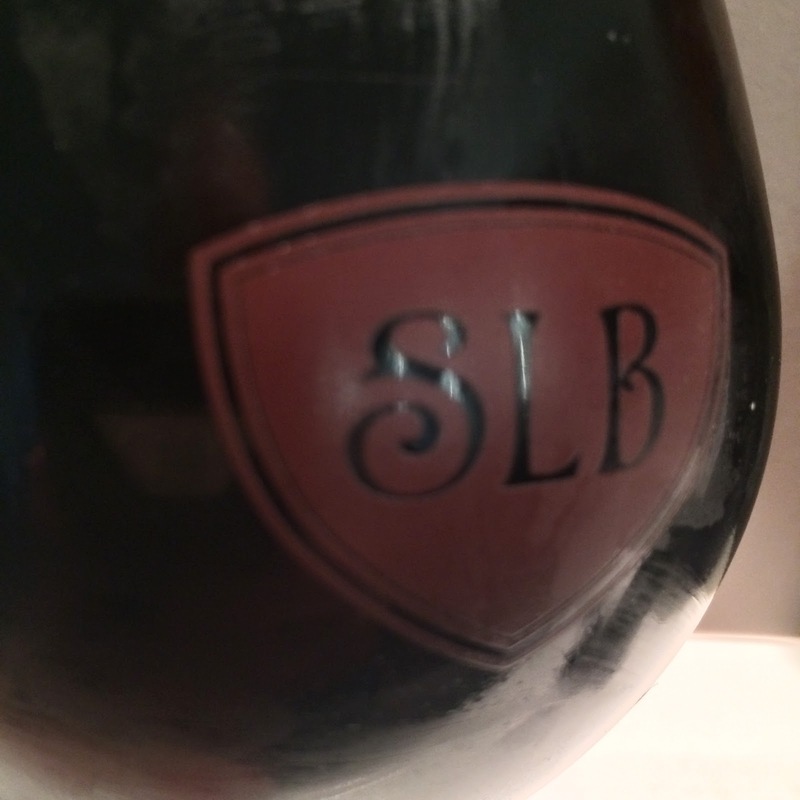 There was also free SLB glassware, snifters in fact, which is always an intelligent choice. Despite the rain, Fire by the Monon was packed with people enjoying all things SLB and overall it's a good sign of things to come. As mentioned above, my favorite SLB beer was Dorian, so much so that I made a point to go to Tomlinson Taproom for a 32oz bullet fill of it. From the growler into a snifter, the beer pours a deep reddish brown with a very thin khaki colored head. The pour off draft that I got had a more appropriate 1-2 finger head, so this is a growler thing more than a beer thing. 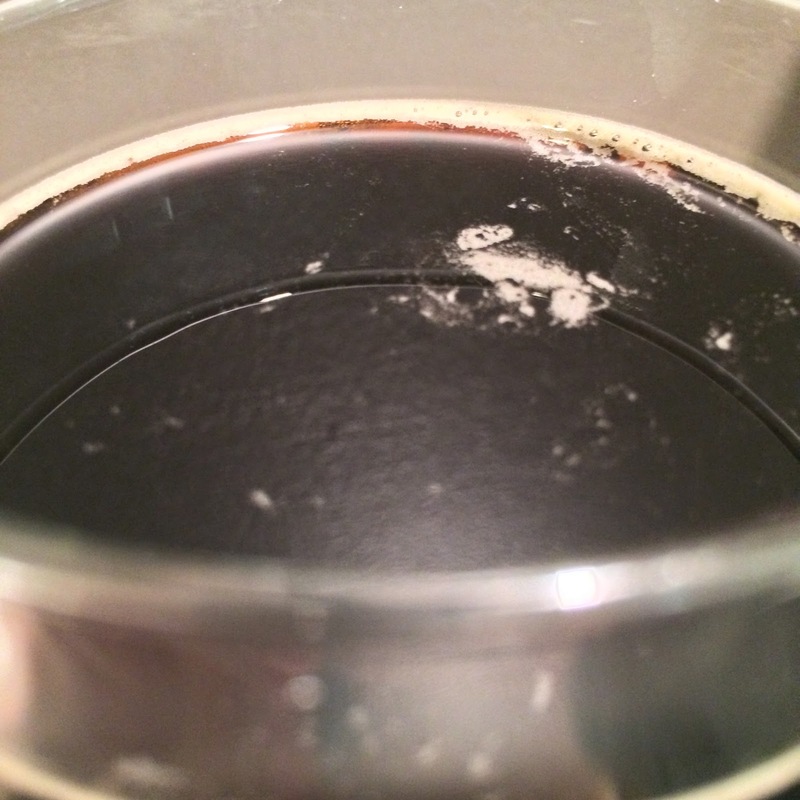 The beer gives off aromas of cola, roast grain, and light coconut; the latter gets stronger as the beer warms. The taste is similar, but the coconut picks up and a note of semi-sweet chocolate shows up; cola note is still present, but there isn't a real sharp roast grain note. The body is on the lighter side, with some prickly carbonation, but there's a sense of creaminess in the mouthfeel; the finish is really hear nor there. The Big Guy: Scarlet Lane have been great friends to the blog for most of this year, and my worst nightmare was that I would like them as people but hate their beers. Thank God that this beer is outstanding! I was lucky enough to try a sneak peak before they ramped everything up to production scale. I was nervous that the small scale beer would be better than the full scale version, but the full scale brew was even better than the home brew version. The beer is dark and roasty with a nice chocolate malty sweetness. The coconuts are perfectly balanced to give you great aroma and a really nice light flavor on the back end. I couldn't stop thinking about my favorite Girl Scout cookies, Samoas. The beer is basically a liquid dessert, without all the heaviness that you get form a typical dessert beer. You can have as many as you want without getting the gut rot that some sweeter beers give you if you drink too much. At their Launch Humdinger I tested that theory and had as many as I could drink. I also give it an enthusiastic 4.5. This could easily become a new local favorite.